Many people think teen violence is all about bad teens. It's not. Whether it's school violence, bullying or family problems violent teens are sending a message, and we need to hear it. As the caring adults in the violent teen's life, we are responsible for how we prevent and respond to violent behavior of any kind. These kids are not bad to the core, but they may indeed be very dangerous. We have to deal with all of that. It's important that you believe that you are bigger than the problem of teen violence. Your love, your positive focus of attention, and your sincere desire to help are a far more powerful combination than you may have ever known. 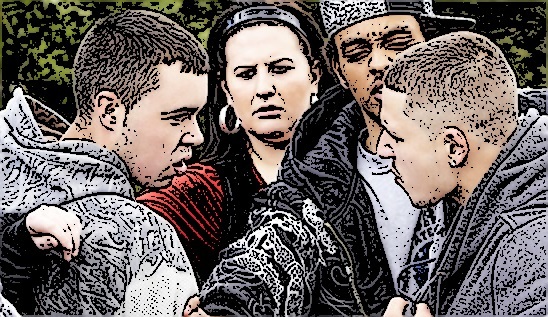 What Is Teen Violence Saying? Violent teens have a message. Let's see if we can figure out what it is. "You don't understand me. I'm on the outside looking in." "You're not paying attention to me, but when I am violent, I get your attention." "The secret I won't tell is that I want to be included and loved." "If I can't be loved, then at least I will not be ignored--if I'm violent." "Violence is the only way I know for sure that I will be noticed, recognized and maybe even heard." "I'm lost and I don't fit in. I'm nobody and I don't matter. Violence makes me feel like I'm somebody." "The only way I can get certain people to notice me is by threatening or committing violence." "I am addicted to the rush of violence and aggression. It is the only thing that makes me feel alive." "I feel powerless inside, except when I'm extremely angry and violent. Violence is the only power I know." Teen violence often comes from kids who feel like victims--or who have in fact been victims. One way of understanding the psychology of violence is that the perpetrator is trying to create a victim in the outside world as a way of dealing with the victim inside. It's as if they were trying to get the pain inside out by putting it in another person. I've actually heard some perpetrators say, "I just wanted them to hurt the way I was hurting." While on the surface this just seems disturbing, it also offers a possible solution to problems like teen violence. If we can somehow address, understand and help to heal the pain in the troubled teens, we may be able to prevent them from becoming violent. Is There A Violent Teen In Your Home Or School? You're not doing anybody any favors by letting angry and aggressive teens control you, your family or your school. If you are not able to establish appropriate authority over the teens in your life to prevent domestic violence or school violence, then call the police. If you are afraid of the teens in your home or school, then you need to work on claiming your own power and authority. You may need to learn about healthy anger, and how you can take charge without hurting anyone. The point here is that healthy authority is an important aspect of love in parenting teenagers, and sometimes it solves the problem of teen violence immediately. Many teens have calmed down and begun behaving well overnight, when the adults in their lives claim loving, powerful, healthy authority that makes sense. In addition to what we said above about claiming authority, let's focus on responding to some of the "messages" the violent teen might be sending. 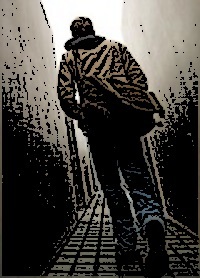 Look for the outcasts, misfits and "black sheep" in your home or school. Those are some of the most likely to become violent. Find ways to include and get to know them. Give them a "place." If the teen with potential for teen violence is your son or daughter, spend more one-on-one time with them, whether they like it or not. Find out what they like, and ask them to teach you about it. Be persistent, because they will not necessarily make it easy for you. Get to know the teen's friends and activities. 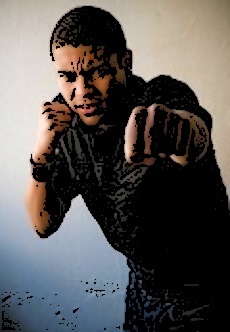 Be involved, show you care, pay attention.Help them become their own best anger management resource. Above all, look for the strengths, skills and abilities of the teens in your life. Believe in them. Give them freedom according to the responsibility they're willing to take, and do your best to trust them. Suspicion and doubt often make things worse. Choose to trust the teens in your life, and they will be more likely to be trustworthy. Get together with others in your family and community and create an adolescent rites of passage ceremony for the teens in your life. This can do wonders for getting adolescents in line with what is good and right for them and others. Below, you will find a wonderful audio CD/download program that will help you in dealing with and preventing teen violence. Try it now with our no-risk full money-back guarantee! 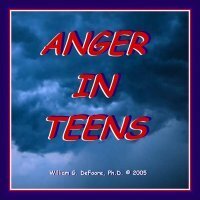 Learn how you can become more skilled and helpful in dealing with the angry teens in your life. This 2-CDprogram will inform and empower you to become a positive leader in your relationships with adolescents, guiding them toward a healthy, happy future. The knowledge and techniques provided here are highly valuable and practical in helping you to know what to do and when to do it. You can become one of the greatest assets in your teen's life!